Celebrations uplift us , bring us joy and happiness. During this month we celebrate Easter , the joy of Palm Sunday when Jesus entered into Jerusalem . The crowds loved him. Some would have heard about the healing miracles, especially raising Lazarus from the dead. Jesus came to save us , but not in that way. He came to rescue us from our sin but this great realisation only came after His death and suffering. The people in the crowd of Jerusalem that day did not understand about Jesus, why He had come and what He had come for. Hence, on the cross, in all his agony , Jesus asks forgiveness for them. “When the centurion saw what had taken place , he praised God and said “ Truly , this man was God’s son”. He knew that Jesus was innocent and the words of forgiveness spoken by Jesus resonated with him personally. What huge lessons WE can learn from this! So then we celebrate Easter Day. We shout “Christ is risen , He is risen indeed". Christ is alive , the risen Christ with us for evermore. I have heard people say “ but how can he be alive , he was killed on a cross ?" For many ,including the disciples , the death of Jesus must have seemed like the end . Was there a future ? What was the point of it all ? They didn't know it then but the future for them was a ministry filled life full of the Holy Spirit , spreading the word about Jesus. As Christians we believe that Christ’s death was no accident. He died on the cross to save us .He was buried but rose again on Easter Day and so he lives on in our hearts by the power of the Holy Spirit. The Easter story is like a roller coaster of events and emotions, from Palm Sunday to Good Friday and on to Easter Day. Jesus came, lived and died, never to be forgotten , always alive in our hearts. Broken and Beautiful: Seeing You & Me, with Godly Eyes…. A 5 week Study on Tuesday evenings 7.00 for 7.15pm start until 8.15pm sharp in St. Paul’s church. An opportunity this Lent to immerse ourselves in scripture, pondering, exploring, thinking, reflecting and receiving. All welcome and encouraged to make this a priority for the season. See Dates for the Diary on the back page of this news. A Deanery Confirmation Service is to be held locally on Thursday 2nd May in the evening. If this is something you feel prompted to consider talk about or explore, please speak with Dave, Tom or Si. This year sees a complete renewal of the electoral roll. In a year of renewal, no names are carried over from the old roll and new applications need to be made. Electoral roll forms are available at Church and on completion should be returned to Mary. The PCC are currently exploring ways in which a toilet and servery could be accommodated with the existing church building. Please do ask about the proposals and take a look at the sketches. Either John or Paul will be pleased to share this with you. Our policy for many years has been to give 10% of general church collections (cash and envelopes) and standing order income to others, based on commitments to mission partners and suggestions from the congregation. We used to decide the recipients every 6 months but in 2018 changed to doing this annually once the accounts had been prepared. • The Rise Trust, Doorway and Olive Branch Counselling. We now think it is time to review this policy and this will be discussed at the Annual Meeting on 24th April. • 10% or a different figure? • a percentage or a fixed amount allocated at the start of the year? • should all recipients be registered charities? • should we prioritise mission partners? Tickets £8 to include refreshments .Tickets on sale now from Mary Clarke. 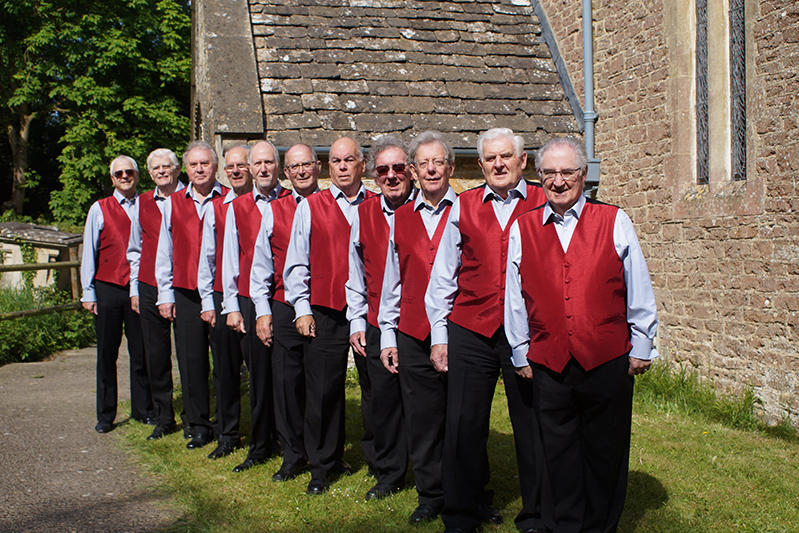 "The singing group “End of the Track” has its history founded in the Chippenham Male Voice Choir. A small number of singers within that choir wanted to experiment with different styles of song – having taken part in joint concerts with other males choirs from across England and Wales. So, around 2005 the Chippenham singers arranged weekly practise sessions together to learn new songs and to exercise their voices." 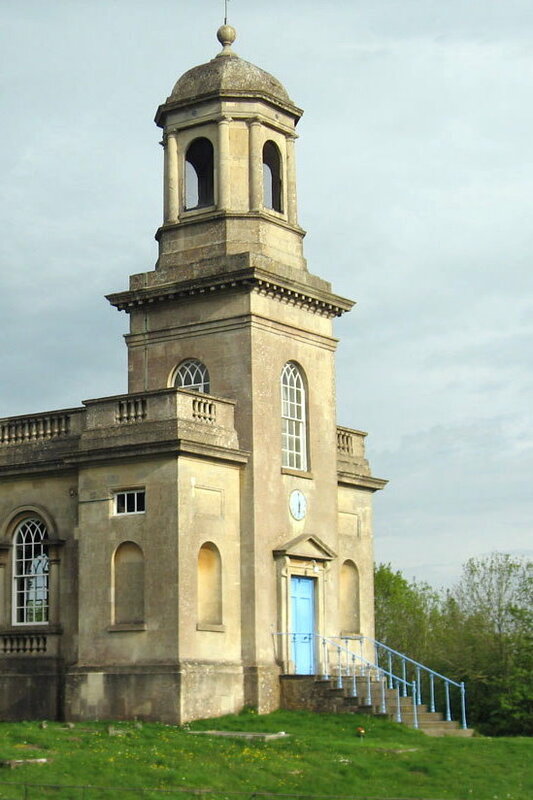 26th April 2019 – Chippenham Male Voice Choir and Harmonics at St. Nicholas Church.